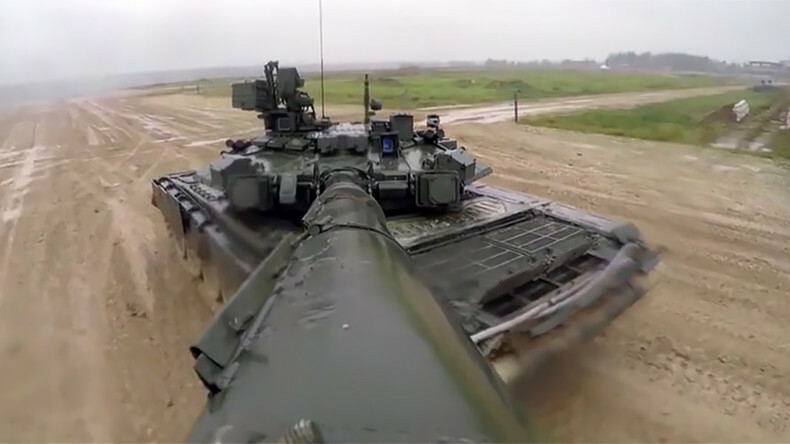 Ahead of Russia’s annual Day of Tank Forces, the ministry of defense has released spectacular video of the T-90 tank in action, giving viewers an impressive inside and outside look into one of Russia’s most powerful war machines. With the help of cameras fitted inside the tank’s turret, the footage shows the three-man crew – a driver, gunner and commander – navigating their way through an obstacle course before demonstrating the T-90’s awesome firepower by firing and reloading its cannon. The T-90 was developed in Soviet times, in the 1980s, as a major upgrade of the earlier T-72 tank, and entered service in the Russian Army in the early 1990s. It boasts a smoothbore 125-mm gun and can be fitted with Refleks-M laser-controlled anti-tank missiles, which are capable of penetrating steel armor over 700 millimeters thick. Speaking on the sidelines of the Army 2017 international military expo, which wrapped up in August near Moscow, Russian Deputy Defense Minister Yury Borisov announced plans to purchase the latest version of the deadly machine – the T-90M. The contract signed with Uralvagonzavod, the country’s primary armor producer, is focused on upgrading older tanks, including with a new fire control system. 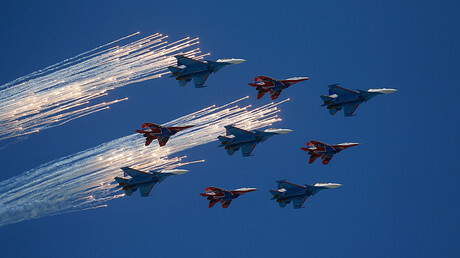 The Day of Tank Forces is celebrated in Russia every September, honoring the nation’s tank crews. First taking place on September 11, 1946, by order of the Presidium of the Supreme Soviet of the USSR, the date was moved to every second Sunday in September by presidential decree in 2006. The holiday’s 70th anniversary last year was marked by an exhibition of tank battles in the Central Armed Forces Museum in Moscow, and another exhibition of armored vehicles in Suvorov Square.